Shanghai born BEN HUANG set off on his creative path as a student of modern dance and fine arts at the Academy of Fine Arts in the late 1980’s and early 1990’s. He then dipped his toes in the fashion world but with a major climate shift on the way in the dance music scene, BEN HUANG gave up a budding career in fashion and found his calling in the Beijing music scene. 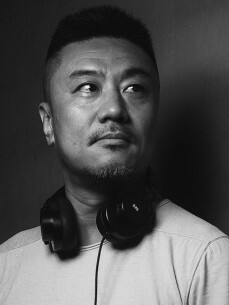 Self taught BEN HUANG single-handedly kick- started Beijing’s club scene back in the mid-nineties. His creative expression comprised of varying styles from Disco,Funk, Jazz, House to Techno. BEN HUANG’s music transported Beijing and Shanghai’s small underworld and kicked down its doors to the sounds from Paris to Berlin. In no time, BEN HUANG became one of the most heavily sought after DJs in Beijing and Shanghai. His sounds impressed European promoters and made him one of the funkiest exports to come out from the Middle Kingdom. BEN HUANG became one of the first ever Chinese DJ to break into the international scene, playing in venues from the Parisian Elysee-Montmartre, Tresor Berlin to the famed Zurich Street Parade, alongside the world’s best. He has shared the stage with the likes of Laurent Garnier, Derrick May, Ritchie Hawtin and burned the airwaves on Paris’ Radio FG. Back home, HUANG helped organize the ultimate rave event The Great Wall Party, BEN HUANG is indeed the pioneer of clubbing in China and has garnered praise and respect from his peers at home and abroad. His current mix work for artists like Faye Wong keep him one of the most in-demand DJ’s in China.